Domen Prevc was born on 04.06.1999 in Kranj, Slovenia. His older brother Peter Prevc is a winner of the 2016 Ski Jumping World Cup. 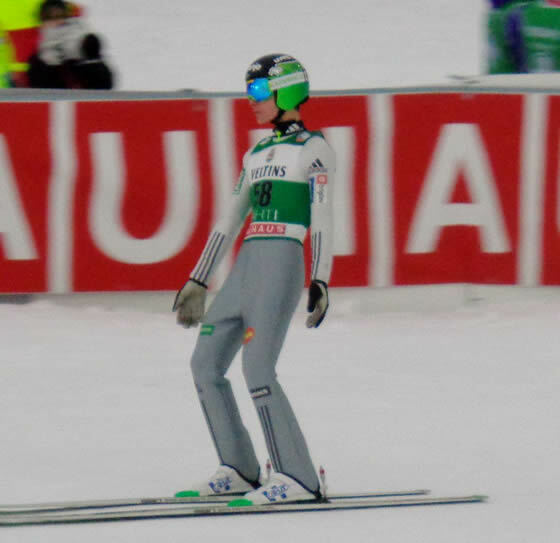 Domen started his professional career on 22 November, 2015 in Klingenthal and he got the 8th place. Many experts agree that Domen is a very perspective and talented ski jumper. He was only 16 when he got his first world cup podium and it was the first podium in history that was shared by brothers – Domen and Peter Prevc. In 2015-2016 Domen started 18 times in the World Cup and got 4 podiums which helped him to get 486 points and he finished on the 14th place in the overall ranking. After the great victory with the Slovenian team in Oslo Domen said “I am very satisfied with my jumping and the performance of my teammates here at Holmenkollen. It’s obvious you have to trust your teammates during competitions – if you don’t, you won’t achieve much. I just want to jump really great.” Which can only show that even his young age he is matured enough to become one of the best ski jumpers in history. In a nutshell, Domen Prevc had a great start in his age. He can surpass his older brother if he keeps improving. As an athlete matures and develops, he needs to keep working hard. He will get some responsibilities and a lot of pressure to deal with.